We offer Injection Moulded Pallets that are meticulously designed for re-usability and are appropriate for multi-stacking. 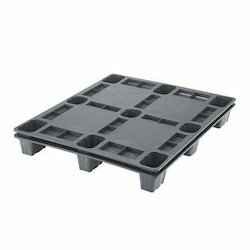 These reusable plastic pallets are also offered in standard as well as customized ranges and are available in competitive prices. Further the raw materials as well as the finished range are stringently checked by our team of adroit quality controllers. Provides good ergonomic and environmental benefits. 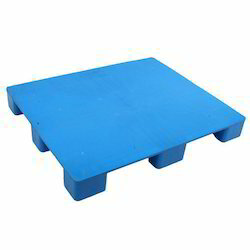 Owing to our rich industry experience, we are manufacturing, supplying and trading superior quality Stackable Pallets. The entire range of stackable pallets is manufactured by making use of premium grade raw material sourced from leading vendors of the market. All these products are extensively used in production, warehouse and many more places. 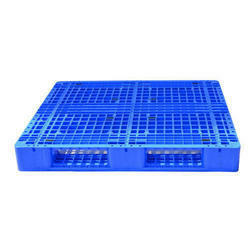 According to the needs and demands of our clients, we are engaged in offering a wide range of Flat Top Pallets. These products are light in weight and can easily be fixed. The use of modern machines and latest equipment are used while manufacturing these products. These products are well designed and are highly appraised by our customers. Our domain expertise has enabled us to come up with an excellent collection of Rackable Pallets. Superior quality material that is sourced from vendors of high repute is used in the production process of the offered range of pallets. To meet diverse requirements of the clients, we have been offering the pallets in customized specifications. Our company specializes in manufacturing, supplying and trading optimum quality Nestable Pallets. The range is manufactured using high quality material that is sourced from certified vendors of market. To meet the diverse requirements of the clients with utmost efficiency we offer these pallets in various specifications. Besides, we have a well-equipped manufacturing unit that helps us in undertaking the business operations within the committed time frame. 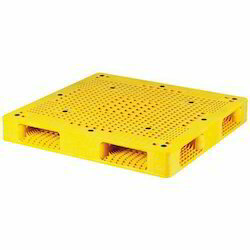 We offer reusable Perforated Pallets that are meticulously designed for re-usability and are appropriate for multi-stacking. 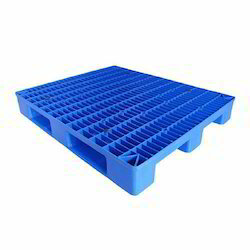 These reusable plastic pallets are also offered in standard as well as customized ranges and are available in competitive prices. Further the raw materials, as well as the finished range, are stringently checked by our team of adroit quality controllers. 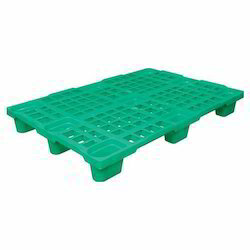 Looking for Injection Moulded Pallets ?